It has been 15 months since a senior CDC scientist, Dr. William Thompson, became a whistleblower when he admitted that a 2004 CDC study was falsified in order to show that there was no link between the MMR vaccine and autism. In August of 2014 Dr. Thompson stated, “I regret that my coauthors and I omitted statistically significant information in our 2004 article published in the Journal of Pediatrics.” Folks, we have a whistleblower at the CDC who has admitted, under oath that the CDC falsified data in order to deny a link between vaccinations and autism. It is nearly 15 months later and nothing has happened. Nada. Zip. Zero. There have been no Congressional hearings. The mainstream media has refused to talk about it. One courageous Congressman has spoken in front of Congress twice about this issue. His name is Bill Posey. I have attached a link to his October 21, 2015 speech here. Dr. Posey is demanding his colleagues call hearings on this matter. Folks, this will only happen if you contact your representative and tell them that we are demanding a Congressional hearing on the CDC whistleblower. It is vitally important for all of us to speak up. That certainly includes all African American parents. If the information from Dr. Thompson is proven to be true, this could rival the injustice of the Tuskegee disaster. 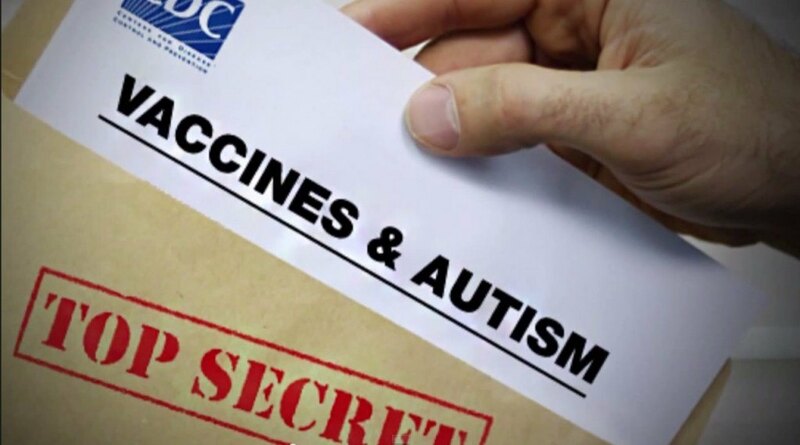 Admin said: > It has been 15 months since a senior CDC scientist, Dr. William Thompson, became a whistleblower when he admitted that a 2004 CDC study was falsified in order to show that there was no link between the MMR vaccine and autism. In August of 2014 Dr. Thompson stated, “I regret that my coauthors and I omitted statistically significant information in our 2004 article published in the Journal of Pediatrics.” > > Folks, we have a whistleblower at the CDC who has admitted, under oath that the CDC falsified data in order to deny a link between vaccinations and autism. It is nearly 15 months later and nothing has happened. Nada. Zip. Zero. There have been no Congressional hearings. The mainstream media has refused to talk about it. > > One courageous Congressman has spoken in front of Congress twice about this issue. His name is Bill Posey. I have attached a link to his October 21, 2015 speech here. Dr. Posey is demanding his colleagues call hearings on this matter. > > Folks, this will only happen if you contact your representative and tell them that we are demanding a Congressional hearing on the CDC whistleblower. It is vitally important for all of us to speak up. That certainly includes all African American parents. If the information from Dr. Thompson is proven to be true, this could rival the injustice of the Tuskegee disaster. It would be helpful in getting people to contact their congressman if it was made extremely easy for them to do so. I know its already very easy but I had to go through several pages then fill out a form. No problem for me but I know from experience in trying to get people to take action that most folks can't be bothered to click a damn button to help anyone. And that is really unfortunate and we'd probably be in a much better place as a country if more folks were willing to take even a small action. Maybe if you posted a list of numbers by state or a petition, it might ecourage more folks to get involved.